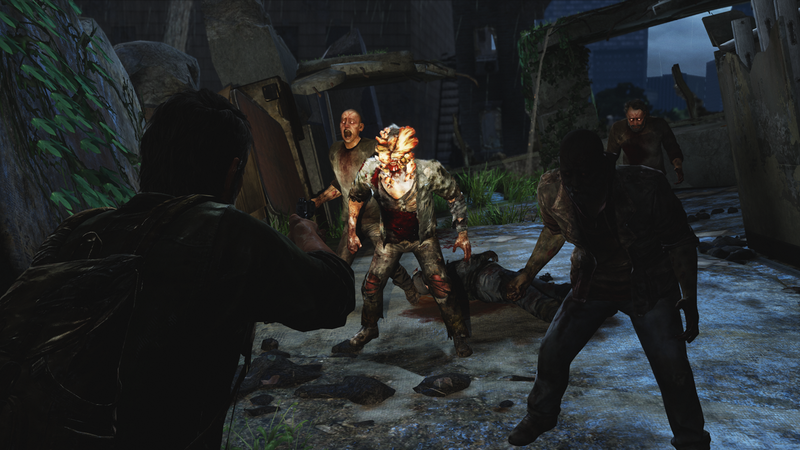 The Last of Us is the type of game that seemingly comes around only once per console cycle. Naughty Dog, creators of Crash Bandicoot, Jak & Daxter and Uncharted, have perfected their craft over the years, and this is their most mature effort yet. It is also their magnum opus. Set in a post-apocalyptic United States in 2033, the game revolves around two central characters: a grizzled Texan named Joel, and a 14-year-old girl named Ellie. A nasty disease (similar to the real-life cordyceps fungi) has spread across the country, turning humans into Infected. 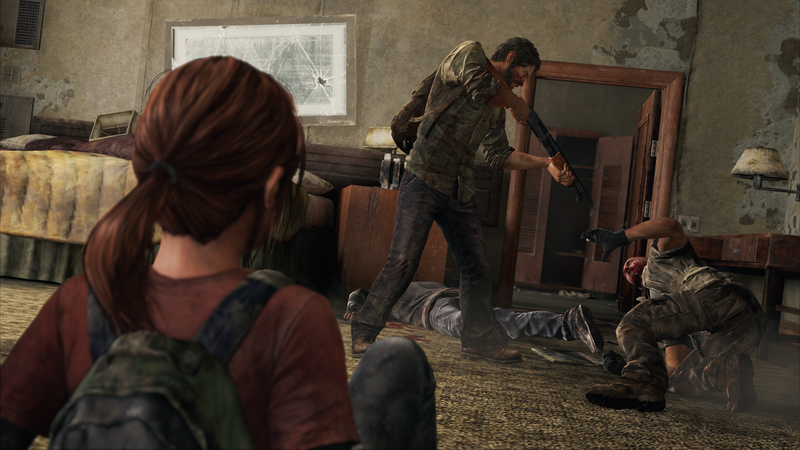 The two of them are brought together by forces outside of their control, and Joel is given the responsibility of protecting young Ellie as they attempt to survive amidst the chaos of the wasteland. The game shares many tropes with those of post-apocalyptic films and books (Cormac McCarthy’s work in particular is a big influence), but everything is brought together in a way that makes the overall experience still feel fresh and engaging. It starts with the Infected. These aren’t your average “zombies”, however. They run through four stages of infection, with each one getting progressively worse. Some attack in bunches, while others stalk you in the dark, waiting for the right moment to attack. It’s stage three where the Infected — called Clickers at this point — get *really* sickening. This is when the fungus completely take over the human face, rendering them blind while also extremely sensitive to sound. One hit from them is insta-death. Their grotesque appearance is only enhanced by their constant “clicking” sounds — this is the stuff of nightmares. Stage four is even more horrifying. I won’t ruin the surprise there. Coming across a large area filled with various stages of Infected is often downright scary. I found myself dying — a lot — and would frequently have to re-think my strategy for surviving that section. Should I take out one or two Clickers and then run like hell? Should I throw a couple of nail bombs on the ground and then try to lure a large group into the subsequent explosion? Or should I just avoid combat altogether and try to sneak past everyone? The latter quickly became my preferred method of fighting. Combat is not easy, especially since ammo and other tools are scarce. This game is all about survival, and there will be many times that require improvisation in order to get to the next area. This becomes especially important once non-infected human enemies enter the picture — they are arguably even more dangerous since many carry shotguns and other lethal weapons. On multiple occasions (when I was unable to sneak past), I would run out of ammo only to frantically attempt to craft a nail bomb or other device to help even the odds. This really makes you maximize all potential resources. I suspect that avoiding most combat will be the preferred method of some gamers simply because of the ghastly displays of violence that ensue. Finishing off an enemy can be absolutely brutal, and the violence is very matter-of-fact. There were countless times when my jaw would drop simply because I could not believe the game got that graphic. 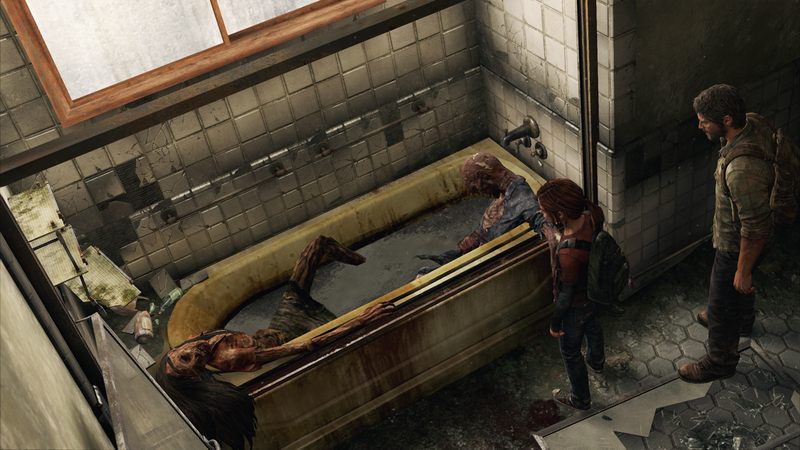 Then again, it’s in this brutality that some of Naughty Dog’s attention to detail shines through. There are a number of little things that impressed me throughout the campaign, such as Ellie’s teenage ramblings or her random whistling, or the subtle Southern terminology from Joel. 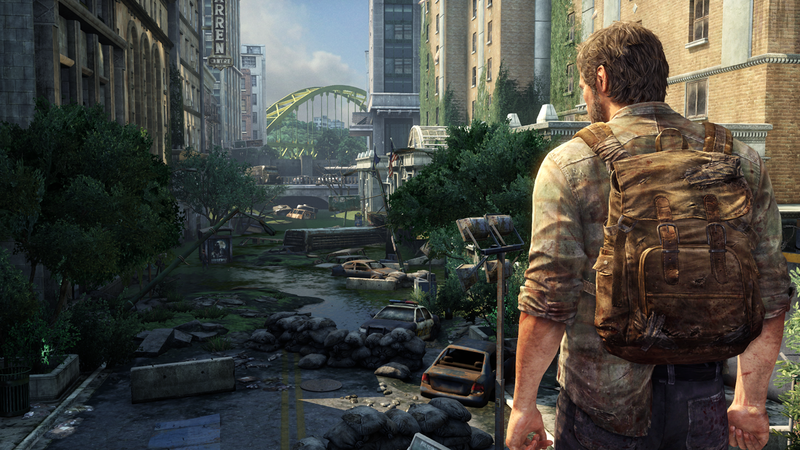 Perhaps most impressive is just how immersive The Last of Us truly is. There is minimal loading, and the transitions between cutscenes and actual gameplay are seamless. There are also no obnoxious trophy pop-ups to remind you that you’re playing a game — most of them are related to finishing the campaign, and they pop up after the credits. This, in particular, was an excellent touch. This is a game that relies heavily on its narrative, and its characters are incredibly well-written — an impressive achievement, considering how much dialogue there is in the game. The voice acting (with Troy Baker as Joel, and Ashley Johnson as Ellie) is fantastic, and when the game is at its peak, this feels like a high quality TV show or movie. At the very least, this is a frank reminder that video games sure have come a hell of a long way over the years. The single player campaign — which lasts around 15 hours, give or take a couple depending on how much you explore — is one of the best in years, but as an added bonus there is also a surprisingly enticing multiplayer feature. Rather than feeling tacked-on like many, many other like-minded games, it seems a significant amount of effort was put into this. The multiplayer mode has you pick from one of two factions — Hunters or Fireflies (both of whom are integral to the single player campaign) — and then forces you to stay in that group until you either finish the multiplayer story or have your clan entirely wiped out. Clans can be built up by winning matches (in variations of Team Deathmatch), collecting supplies and completing objectives. Teamwork is imperative to success online. Attempting to “run and gun” your way to the top of the leaderboards is a recipe for disaster. Just like in the single player campaign, ammo and supplies are scarce. It is important to work together as a team, especially since everyone shares the same goal: to improve their faction. But really, the multiplayer is just the icing on the cake. It’s a fun little diversion, but the single player campaign is where the game truly shines. Simply put, The Last of Us is a major accomplishment in the world of gaming, and it has effectively set a benchmark for all games to come. When people look back at this console cycle, this is one of the select few games that will be labeled as the best of its generation. This game really is something special. I just posted my review last night as well. Between this and Bioshock Infinite, this has already been one of the best years for gaming. Awesome! Gonna have to pick this game up. Still haven’t beaten Bioshock Infinite though and I wanted to beat that one before starting another one. Your review is tempting me. Both of them are straight up 10/10s in my book. This is a must play for sure after you finish Bioshock Infinite. Picking this up very soon and I can’t wait. Only skim read your review to avoid learning too much about it but it’s good to see another amazing score. I don’t give out 10s very often. 😀 You won’t be disappointed with this one. It’s a must play. Could very well be the game of the year. Me neither…I don’t use my PS3 much anymore except for Tiger Woods but I may pick it up. This is a great game, I’ve really enjoyed playing it. The gameplay is really good and the graphics were awesome. Brilliant storyline as well! Yeah, it really delivers on all levels. Glad to hear you are enjoying it! I’ve had my eye on this one for a while Eric. Sounds fantastic. This will go down as one of the top five (or higher) games of this generation, man. A must play. 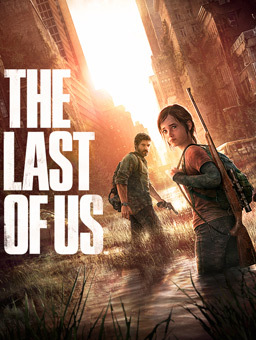 It’s easily my “Game of the Generation,” and it has become my new favorite (surpassing RDR for me). Just a wonderful experience from start to finish. Already beat it three times (Hard, Survivor, and Survivor+). Working on getting the platinum now, although that will take some time since it requires playing so many online matches and hoping you don’t get screwed over and have to start over. There is no doubt in my mind that Naughty Dog is simply the best developing studio out there right now. And I would have to agree about Naughty Dog. They just keep getting better and better. I just finished Fallout 3 (you kind of pushed me to get it after reading your review of New Vegas), so I won’t be visiting this one for a while considering I’m now playing Gran Turismo and will likely get Bioshock Infinite. Thanks, Niels. Yeah, tens are pretty rare from me. This game is truly something special. Right now it gets the edge over Bioshock Infinite for my favorite of the year so far, but I wouldn’t hesitate to give both a 10/10. You can’t go wrong with either one. Uuuughh so jealous! I’ll be playing this in a couple of weeks after I finish working. You’re in for a treat, man. This one won’t disappoint.